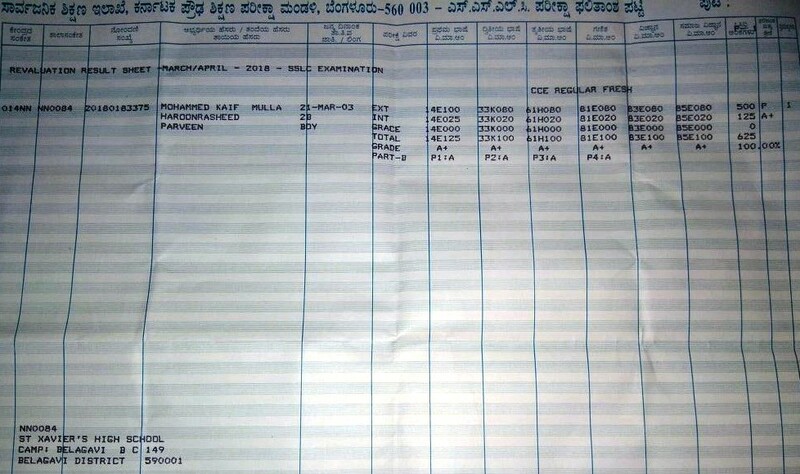 Mohammad Kaif Mulla, Karnataka Class 10th State Board Topper applied for re-evaluation after getting 624 out of 625 marks in Class 10th State Board Exams. Getting 624 marks makes him the joint topper in Karnataka State Board Class 10th Exams. But he was not satisfied with his result. He got full marks in all the subjects except Science, in which one mark is deducted. But he was fully confident that he should get full marks in all the subjects. So this topper applied for re-evaluation of his Science paper. What happens after re-evaluation show that when you have self-belief, nothing is impossible. He got full marks in Science paper after re-evaluation, which gave him a perfect score of 625 marks. This makes him the state topper among 13 lakh students in Class 10 board exam along with Yashas MS and Sudarshan KS. Point to note here is that there is a risk involved in re-evaluation. Instead of increment, deduction in marks is also a possibility in re-evaluation. But his self-belief that he should get full marks gave him the confidence to go ahead and apply for re-evaluation. 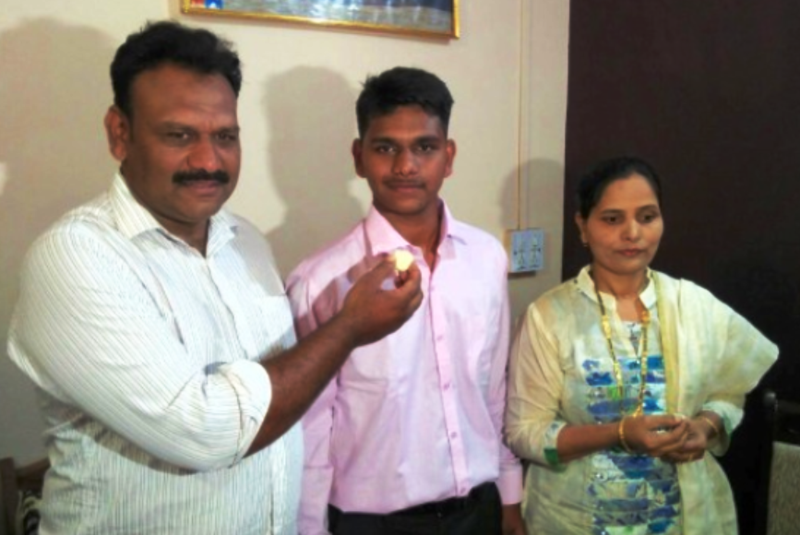 He is a student of Belgaum’s St Xavier High School and will opt for Science stream in Class 11. Kaif aspires to be a civil servant and work towards educating child labourers. He idolises Ansar Shaikh who is the youngest IAS (21) of India. Only education only has the capacity to bring an individual out of the worst living conditions. Both his parents, Haroon Rashid Mulla and Parveen Mulla are government teachers. His father, Haroon, teaches Urdu in a government primary school, while his mother is Kannada language teacher in a government high school. Our social status has suddenly changed. So many NGOs and high-profile personalities are inviting us to felicitate our son. He gives credit for his success to his family and his hard work. He used to study 12 hours a day for the exams and his grandfather helped him by waking him up early morning. Kaif is a very studios child who never wastes his time on useless things like social media etc. I want him to continue studying hard in order to achieve excellence at a higher level. Apart from studies, he has also taken part in various extracurricular activities in school. He is also the commander of his school NCC unit. It is considerable to note that this year around about 8.5 lakh students appeared for the Karnataka SSLC exam. Out of these, a total of 6,02,802 students are able to pass the exam.